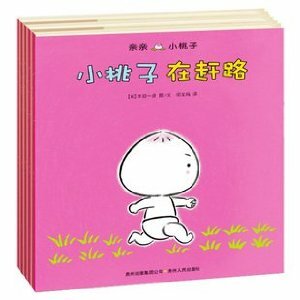 Nina has started to say 桃子 when we read the books together. The interesting thing is the way she pronounces 桃子 – she pronounces it as Tao Zu, instead of Tao Zi the correct pronunciation. It just occurred to me this morning that Tao Zu actually sounds really like how when a non-Chinese adult would try to pronounce the word! I don’t know if it’s just a natural phase for any child to not have perfect pronunciation at the beginning, in any language regardless whether she’s monolingual or multilingual. Or it’s actually already an evidence that multilingual children would – at some stage – mix languages, even at pronunciation level (note: the mixing itself doesn’t worry me because it would disappear after a while – it’s just a phase, not the end result. I will have a separate post on the mixing issue). I’m very curious to see her progress with the pronunciation of 桃子, which hopefully will give some idea as to the real reason behind.